The Wellesley Public Schools PK-12 Science and Industrial Technology curriculum exists to create knowledgeable, scientifically literate, and technologically capable problem solvers. By fostering a spirit of inquiry, nurturing our students’ curiosity, and bringing current, relevant and real-world science into the classroom experience, we prepare our students to become educated citizens capable of comprehending and analyzing global issues in the fields of science and engineering. 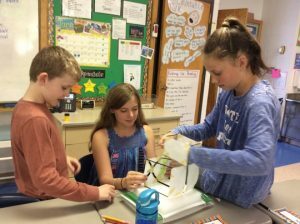 Fourth Grade engineers use shake tables to design and test earthquake-resistant building structures. 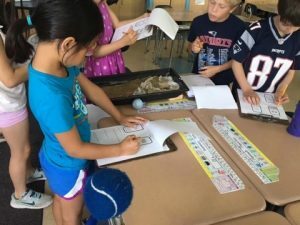 Second grade students test different solutions to solving the problem of erosion. 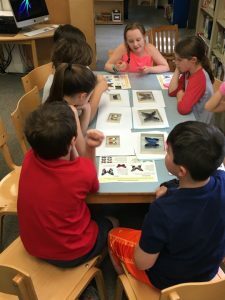 Third Graders apply what they’ve learned about variation and adaptation as they identify butterfly defense strategies using specimens from the world famous Denton Butterfly Collection from the Wellesley Historical Society.